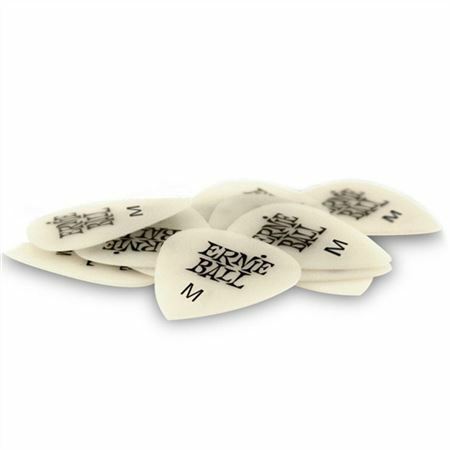 Shop Ernie Ball Super Glow Picks 12 Pack from AMS and enjoy Fast & Free Shipping. Glow in the dark! The Ernie Ball Super Glow Guitar Picks are made of Cellulose Acetate Nitrate which glows in the dark, making them easy to find in a dark space and really cool looking on stage! These picks also yield a great, round tone with clarity and attack. Never have to be questioning in the dark where your picks are. I like to know how well I`m playing guitar music chords in the dark. Great. I'm retiring my Dunlops. Fits like a glove to me. snappy and dark! Sounds like hell! enough for a lot playing.